Harold Sogard is back in the Bay Area ad business. The former, long-time ad exec at Goodby Silverstein & Partners is now president of The Hive, a San Francisco creative boutique whose clients include the University of California at San Francisco Medical Center, Torani and Big Brothers Big Sisters of the Bay Area. Sogard's arrival at the independent shop follows the October departure of Anne Smith Rainey, formerly a partner, co-owner and director of client services at The Hive. "After Anne left, we re-imagined what the senior role here at The Hive should be, and created a new and more expanded job description," said DeeAnn Budney, the agency's founder, CEO and creative director. "We were looking for a more seasoned player, with more senior management experience and deeper roots in advertising. We needed a proven leader. Harold fit the bill." Sogard was most recently chairman of Publicis & Hal Riney, San Francisco, a post he left last year after joining the Publicis Groupe shop in 2011. Previously, he spent 19 years at GSP, joining the fledgling agency when it had about 40 employees and leaving when it had grown to a 600-person agency with around $2 billion in billings. 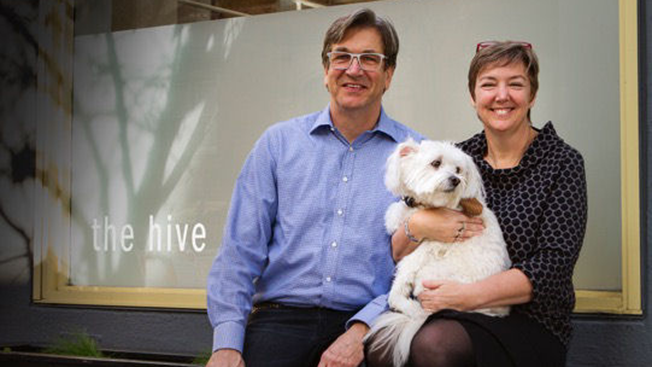 Budney launched The Hive in 2003 after a decade working at Citron Haligman Bedecarré, now AKQA. After Sogard left Riney and became a consultant, he was invited to sit on The Hive's advisory board. "While The Hive has done excellent and very effective work for significant clients over the years, it remains a too-well-kept secret within the West Coast advertising community," Sogard said in a statement. "There are lots of clients out there who could benefit from our approach."